I've been hanging out at my favourite vintage movie house lately, absorbing a few offerings from Sled Island festival's film segment. The Plaza Theatre in Kensington has a long history of being an integral part of film and literary festivals and it is perfectly suited to do so. It's a cornerstone of this vibrant urban neighbourhood. It's retro, it's slightly seedy in a much loved way, it has no cupholders but it does have a stage and a sweeping red curtain, and it serves popcorn in buckets. On Saturday we took in The Parking Lot Movie. 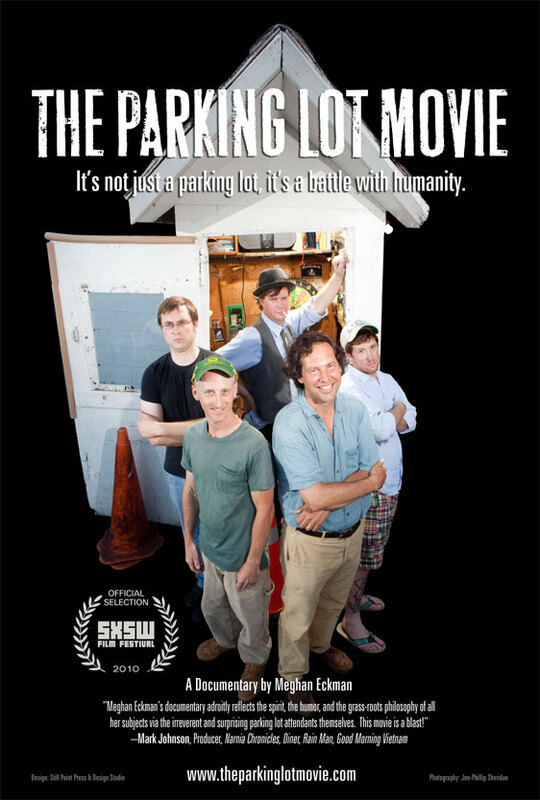 You would think that a documentary about the parking lot attendants at one iconic lot in Charlottesville, Virginia would not exactly be fraught with dramatic potential, but that's where you would be mistaken. When the parking lot is located in a section of downtown filled with bars frequented by university students, there is bound to be significant drama. The attendants at this lot are a seemingly ragged band of misfits, but in reality they are philosophers and intellectuals, artists and musicians. Working in this parking lot is a highly covetted gig; it's a select club whose membership you can only gain by being brought into the fraternity (and the parking lot attendants are all male) by existing members. Between customizing the vast selection of frequently-broken wooden entrance gates with cryptic or iconic slogans, cleaning up the vomit of drunken frat boys, and arguing with people who try to skip out on their $4.00 payment, the parking lot attendants essentially spend the remainder of their time on duty sitting and thinking. They make collages out of religious pamphlets, invent traffic cone games, and speculate on class struggle, entitlement, and the human condition. Eventually, these parking lot philosophers burn out and move on. But from their positions as university professors, musicians, baristas, and writers, they reflect on their years at the parking lot with a mix of fondness and bemusement, tempered with some residual resentment at the idiots who pissed them off. Way more entertaining than it should be. 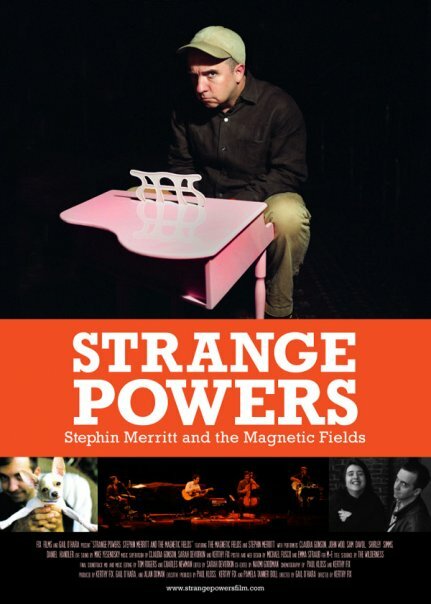 Last night we watched the film that I was most excited to see - Strange Powers: Stephin Merritt and the Magnetic Fields. If you are a Magnetic Fields fan, then you need to see this. If you have no idea who the Magnetic Fields are, then you need to see this. 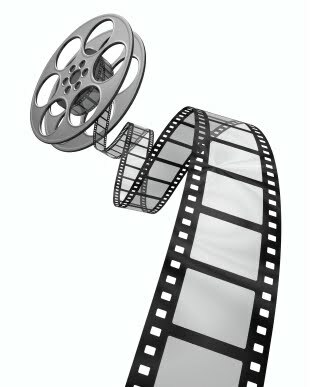 One of the directors was in attendance at the screening and she explained why the documentary was 10 years in the making. And it wasn't entirely because Stephin Merritt is such a taciturn and difficult interview. Although he is that. Merritt has been called the Cole Porter of his generation, for his theatrical sensibilities and his ability to pen the most perfect songs, songs that are an irresistible blend of art pop musical and bubble gum folk, songs that are always too short. The film is almost as much about bandmate Claudia Gonson, a close friend of Merritt's since high school, and an equally fascinating personality in her own right. In addition to contributing piano, vocals, and percussion, Gonson manages the band, gets into daily passionate arguments with Merritt and functions as his self-described "fag-hag". Merritt writes most of his songs, sitting for hours at a time in a darkened gay bar. He is a perfectionist who prefers to micro-manage the music at the studio level. Part of this can be attributed to hyperacusis, a condition with which he is afflicted that causes painful feedback in the ears when sound rises above a certain volume. Live shows are understandably a rare occurrence with the Magnetic Fields, because of Merritt's condition, but also because he prefers the control that a studio affords him. Stephin Merritt is incredibly ambitious in his musical vision. He originally envisioned The Magnetic Fields' most noted album, 69 Love Songs, as 100 love songs. The more subversive smaller number is infinitely more suitable. Subversion, gender-bending, and perfect pop melodies are what defines the music of Stephin Merritt and the Magnetic Fields. I can't wait to see what happens when he tackles his next ambitious project - 100 musicals. I hope they film that. My life's new ambition is to attend a parking lot like that one. I wouldn't mind trying it for a couple of weeks, but only if we could work a shift together, Lesley. And, ahem, but that island that you escape to frequently looks pretty damn cool to me! I heard a rumour about a Magnetic Fields doc but didn't think it would actually happen. Yay! You need to see it, SME! It's pretty great and it's the Magnetic Fields. We saw you win, Mariella! And we said, hey it's Mariella! Did your sister win the other prize? I found Band to be pretty perplexing, actually. I didn't understand how the Black Panthers voice-over fit in with the Deerhoof visuals.